EROS INTRODUCTION: The EROS album is definitely a step-up from my previous work. The mix quality as well as the writing is just on another level (thanks to a lot of hard work). I am attempting to write songs with a new degree of depth, EROS is a result of that search. Now for the EROS introduction, my latest work and music that I am very proud to present to you. I have taken a lot of influence recently from old rock music, especially Pink Floyd, the Beetles, Led Zeppelin, and Jimmy Hendrix, specifically. The ideas of concept albums and how Pink Floyd used them to talk about ideas that are pervasive to the human experience. I’m in love with how Led Zeppelin plays to ideas and how all of the artists create stories with their music. Especially Hendrix. So I have attempted to adapt my own methodology to create a concept for an album that I think can stand the test of time. 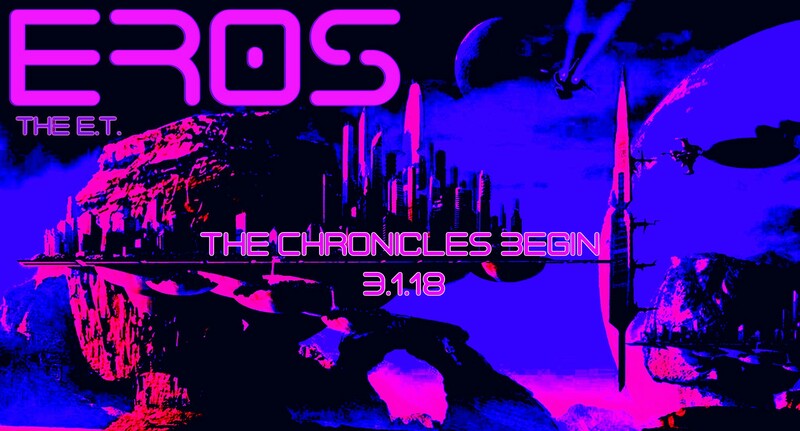 EROS is an alien concentration camp of Mar’s moon that all of my tracks focus around. I am almost finished writing the tracks built around these concepts and there is a full storyline to accompany it. EROS tracks has been nearly 6 months in the making! So here’s the story. I decided to cut down the track count to about 7 or 8 and just take the best. I have also signed one of the tracks to a label. More on that later. Now to introduce EROS and the Universe that exists around the alien concentration camp. Introducing the main character of the Saga, J the Alien. J is an alien, in fact, he is the last being of his race, a once populous and prodigiously successful civilization until the collapse of their neutron star. Now a being must be born into a collapsing star in order to absorb the necessary energy into the incubation process. The energy requirements are so enormous that a birth causes the neutron stars to collapse within a millenia. The Novaborn live until they are killed. Novaborn is the story of J’s birth, the first part of the EROS introduction. He was birthed without any knowledge of his ancestry into the darkness of space. Upon waking for the first time post-incubation, J is guided via the Novaborn AI, Celexa to his new homeworld, Celexus. Celexa encountered a planet during the incubation process and already begun the terraforming process to make the atmosphere suitable for J to arrive and begin mining the crust. His first quest inundates J with knowledge about his species, their energy consumption, the energy costs of his own life, and the recognition that he is the only one of his kind. J’s life is a search for energy, to keep himself alive and to revive the Novaborn species. J is a very unique character that I am very excited to share. I had an entire album built to explore J’s universe and existence. But I scrapped 5 tracks and combined the rest into the EROS saga. J has all kinds of incredible technology and unique attributes. Luckily, these attributes make for harrowing and mind-melting adventures through the cosmos. I will release the next tracks ‘very soon;. Also, check out my previous album, HAZE.